How did man come to Europe? In northeastern Chad, a hundred kilometres from the nearest road and a thousand kilometres from the capital city of N’Djamena, lie the Tibesti Mountains. Three times the size of Switzerland, void of people and barely explored. 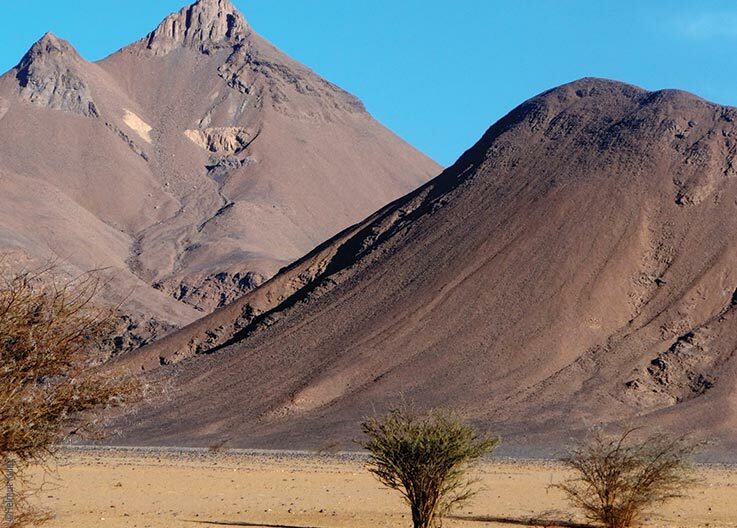 In terms of the history of the Sahara, and to answer the question about how humans first arrived in Europe, the Tibesti Mountains play a decisive role. For many decades there was no scientific research happening here at all. 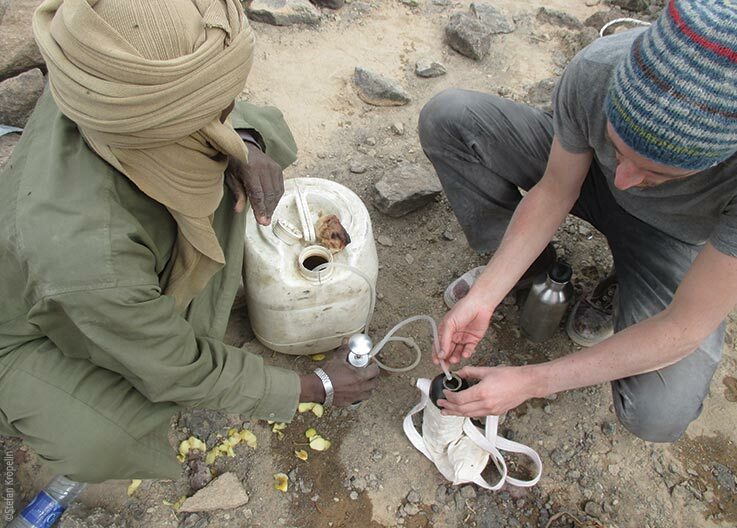 In 2015 Stefan Kröpelin's team of researchers accepted the challenge of restarting systematic investigations into this inhospitable part of the world. 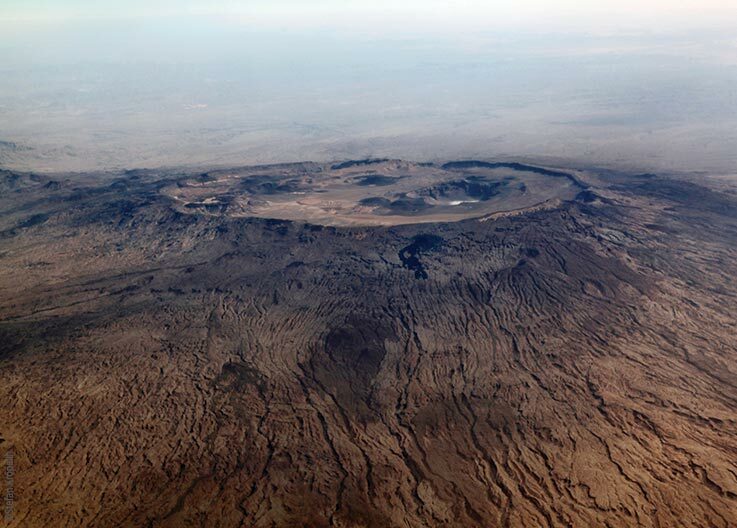 The Tibesti is a volcanic mountain. 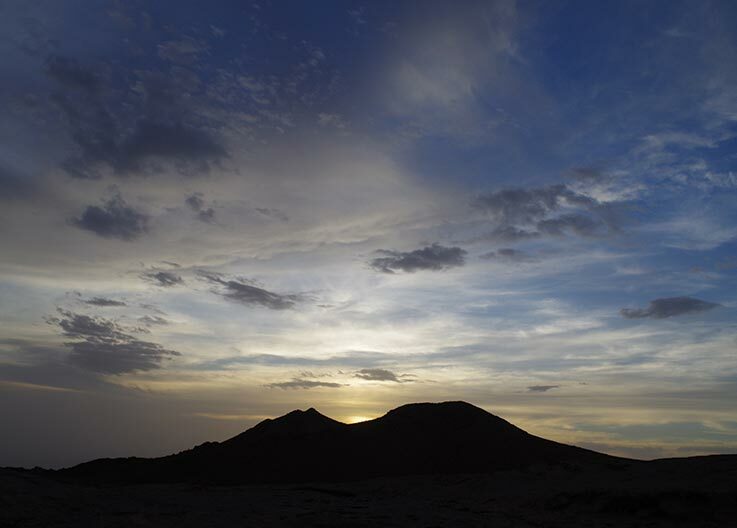 It is so secluded from any trace of civilisation that even volcanic activity here goes unseen. In 2011, astronauts in the International Space Station photographed a kilometre long plume of smoke - completely unnoticed by anyone on Earth. 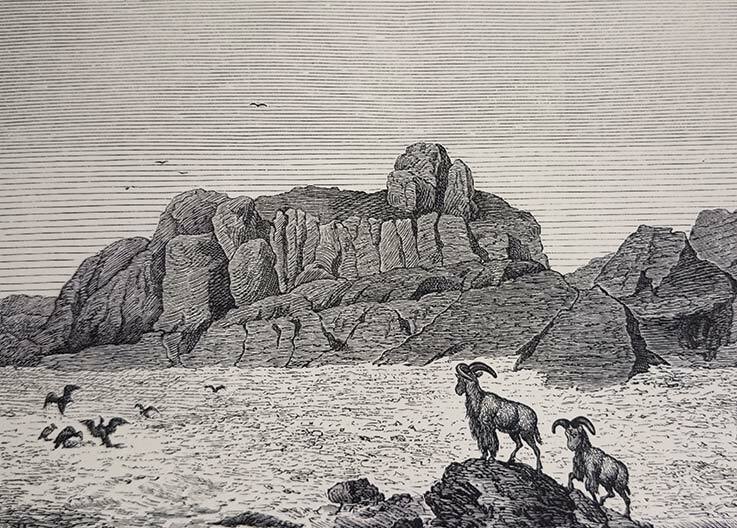 The Emi Koussi is the highest mountain of the Sahara. It is 60 x 80 kilometres in width, and its main crater 14 x 12 kilometres. 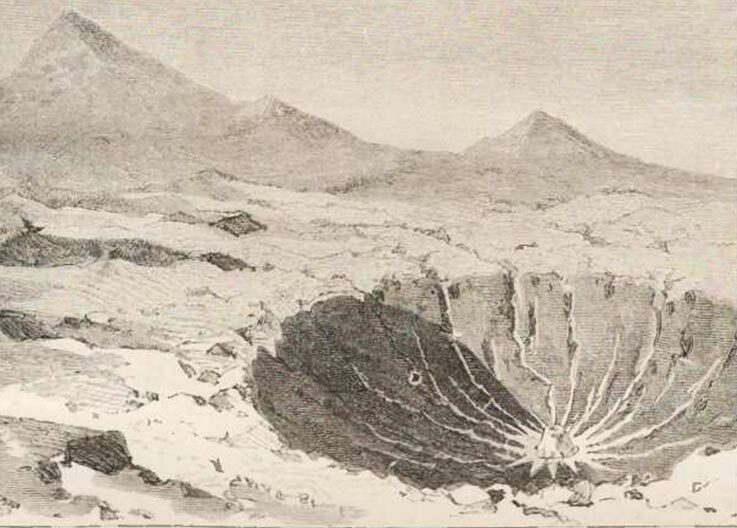 The landscape of this super-volcano is equivalent to that of the moon. 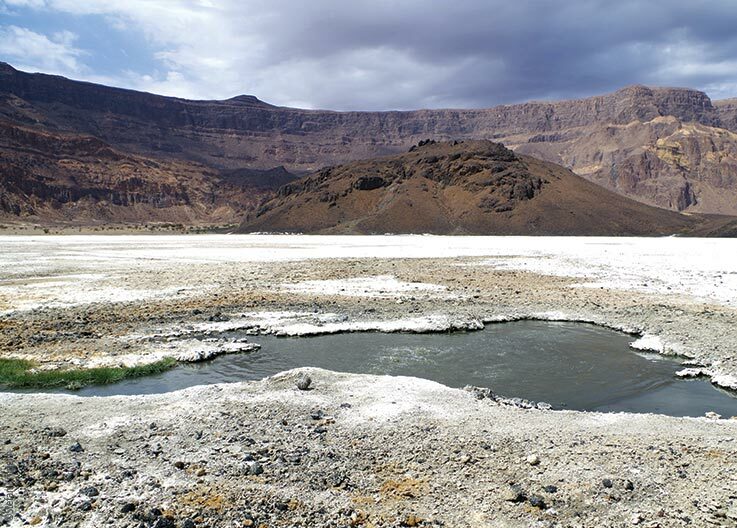 At the foot of the second largest volcano, the Pic Toussidé, lies the Trou au Natron ("Salt pit") crater. It is 1,000 metres deep and 8 km in diameter. Thousands of years ago it was filled by a deep lake. The lake evaporated, leaving behind a sedimentary deposit which today can be seen clinging to the sides. 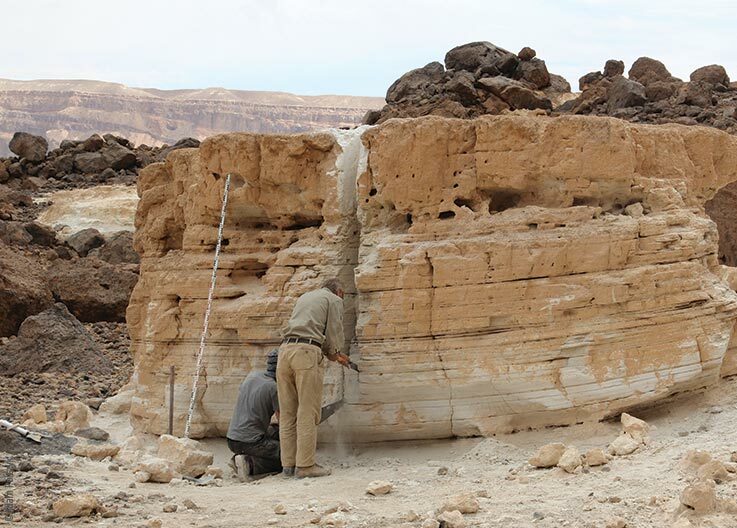 For scientists this sediment is extremely valuable, since the climate history of the mountain range is preserved here. 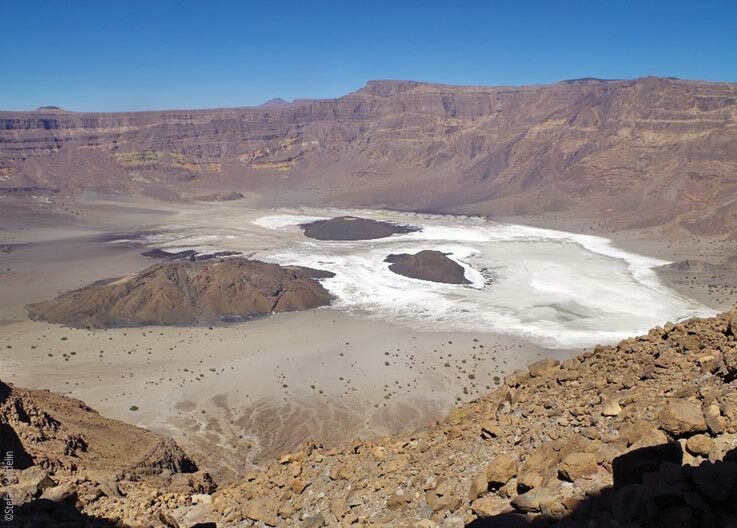 The floor of the crater is covered by a metre thick layer of natron salt. It looks like a snowy white landscape, and even crunches underfoot when walked on. Hot springs are found dotted around. Where do the salt and the hot springs come from? Hot springs and salt formations are signs of volcanic activity of the mountains. The volcanic heat and cracks in the rocks force up gas from very deep in Earth's crust. 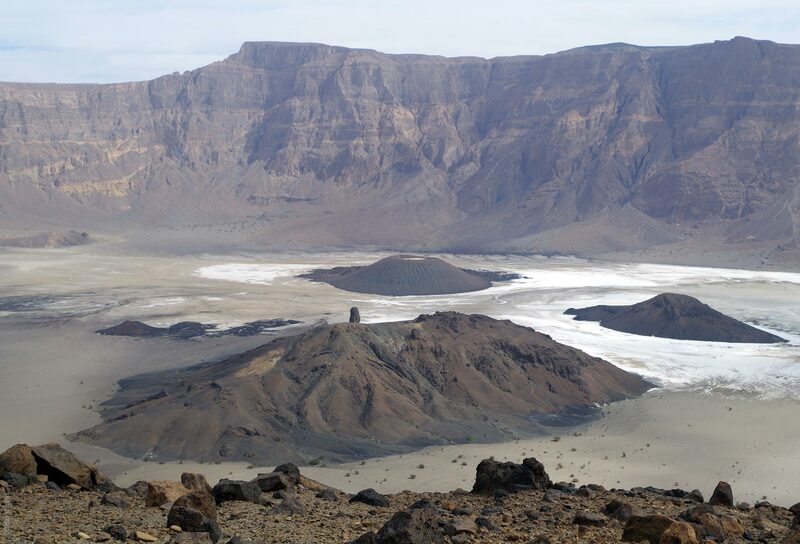 The steam evaporates at the surface of the crater, where the natron crystallises and accumulates. Over time this forms a thick, crusty layer of salt. During his tough research expedition through Chad during the years 1869-1875, Gustav Nachtigal arrived in Tibesti. 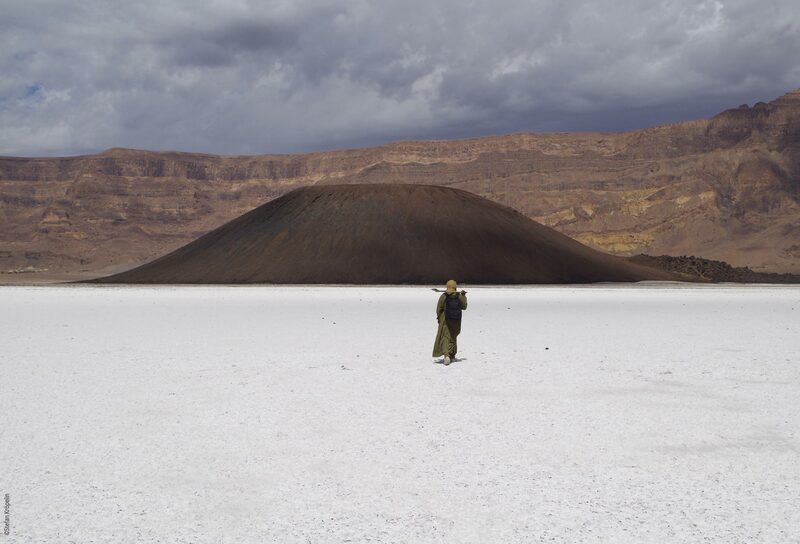 He was overwhelmed by the sight of Trou au Natron. 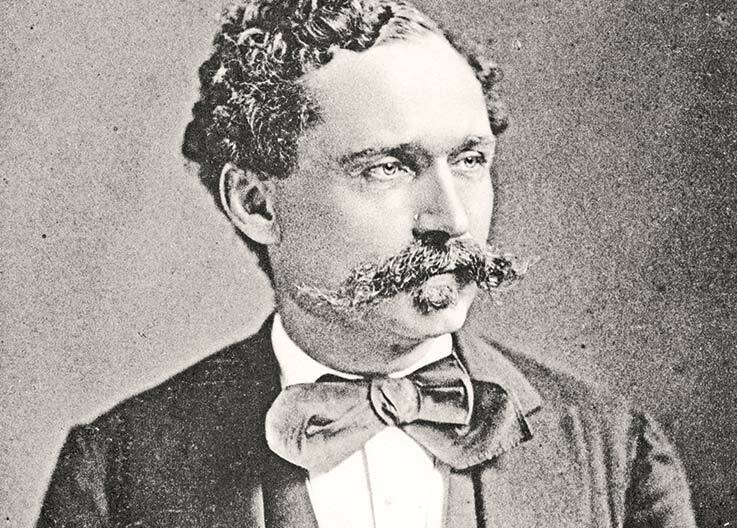 In 1869 he wrote in his diary, "The sight was incredible, just as I had guessed it would be. Stunned and in awe I was standing at the edge of an enormous crater (...) before I knew it I was sitting at the edge of the abyss, sinking into dreamy wonder (...)." With an average of less than 20 millimetres of rain per year, survival in Tebesti away from any of the very few oases is not possible. For this reason the area has won the name "The Hunger Highlands". But millennia old cave drawings show that this was not always the case. Once the Tibesti was also, just like the Ennedi Massif, a flourishing green savanna landscape, home to elephants, giraffes, antelopes and many more animals. Humans also started settling here from very early on. 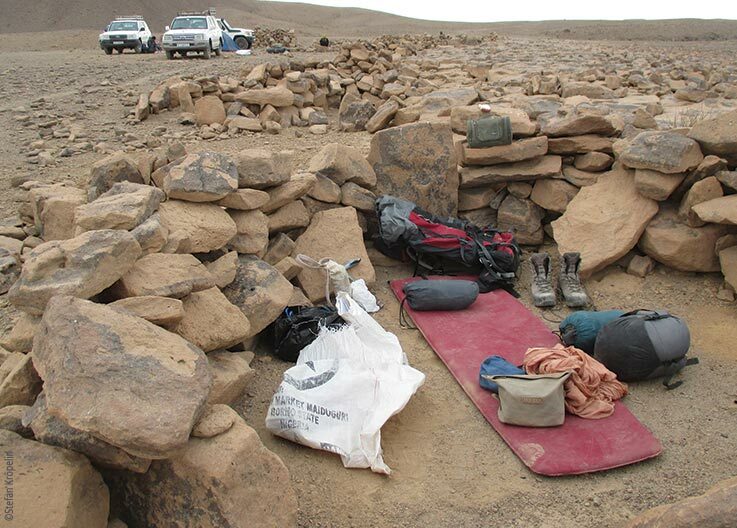 Just as in the times of Gustav Nachtigal, the majority of Tibesti is only accessible on foot or by pack animal. There are only few dirt roads that, with an all-terrain vehicle, will only take you as far as the foot of the mountains or the edges of the craters. Each researcher carries their own baggage (clothes, sleeping bag etc). Each rucksack weighs up to 30 kilograms. 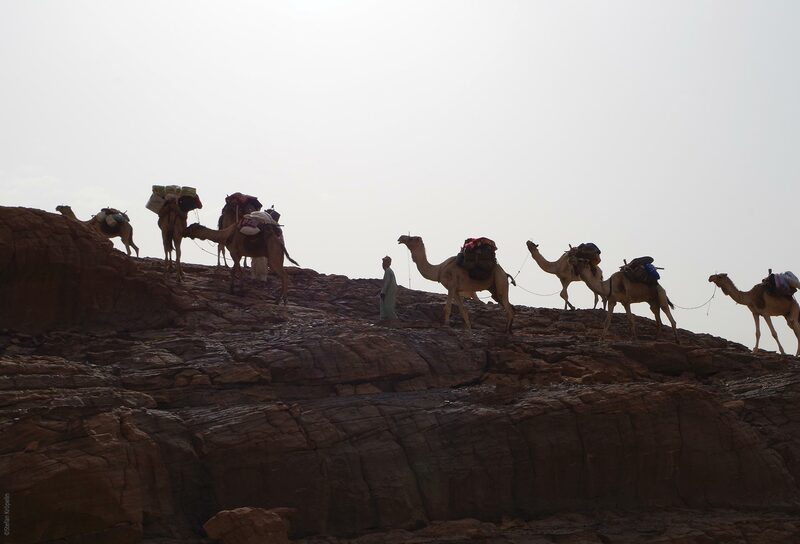 The pack animals carry water, supplies and technical equipment. During the day it is hot, at night bitterly cold. 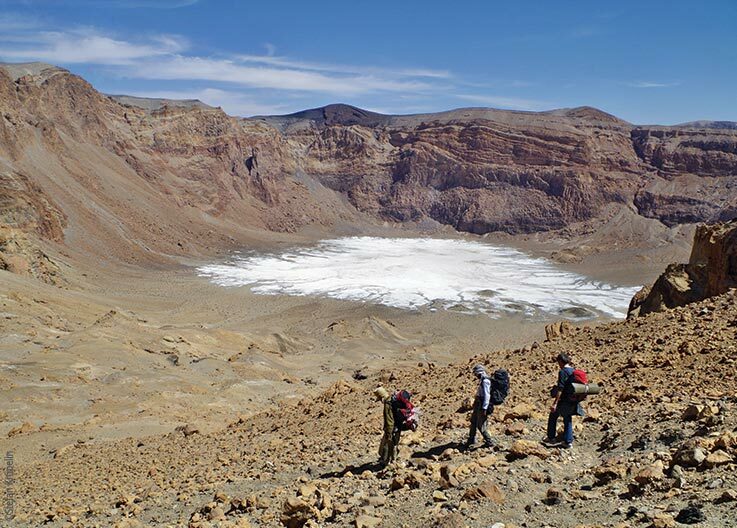 In only a few days the researchers have to cover over 60 kilometres on foot, climbing 3,000 metres, and ending with an 800 metre descent into the crater. The goal; to take rock samples from the inside of the deepest of craters. 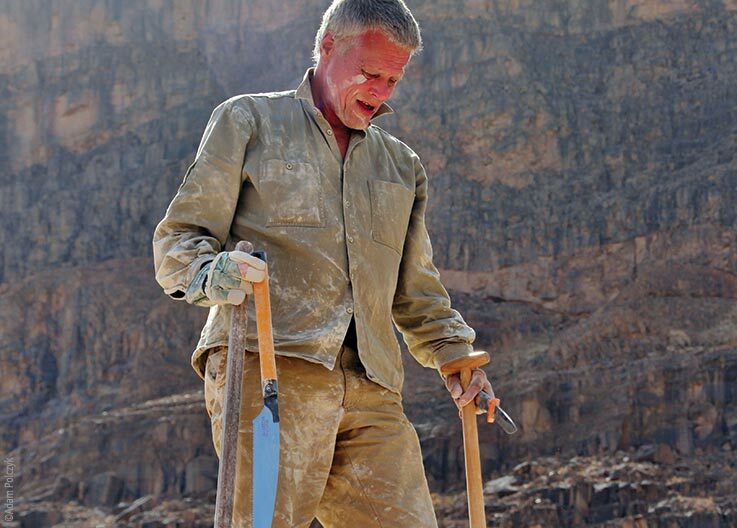 This is the first time anyone has ever taken samples from this crater. Initial investigations make it apparent that we are looking at a lake bed made up mostly of carbonates and muds, constituting unimaginable quantities of microscopic diatoms (algae). Together with the pollen trapped within, it's possible to tell things like how deep the waters were at the time. 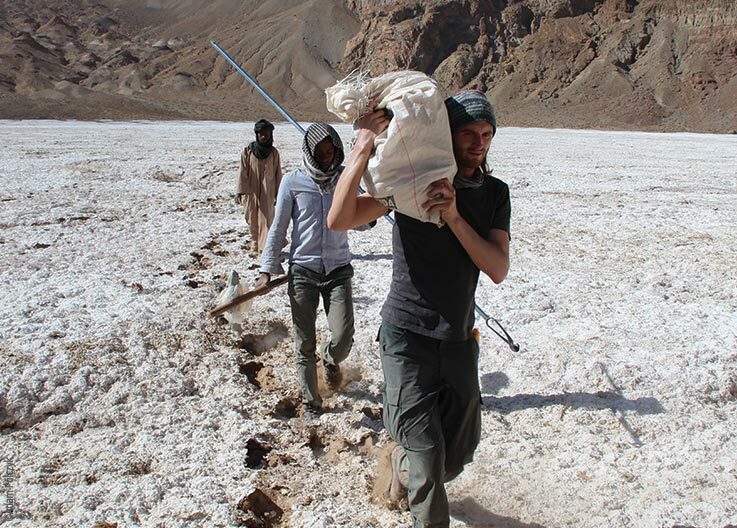 It also uncovers what plant life there was during the Humid Period in the Tibesti Mountains. How did the people of ~130,000 years ago live? What was the climate like when "modern man" left Africa? 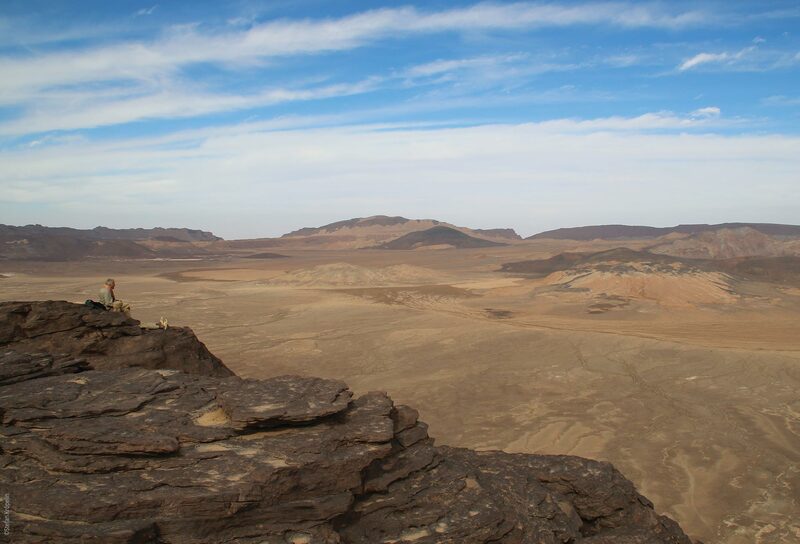 Did homo sapiens migrate from Ethiopia to Europe through the Sahara via the Tibesti Mountains? Did they also traverse the Emi Koussi, or was its height too much for them? 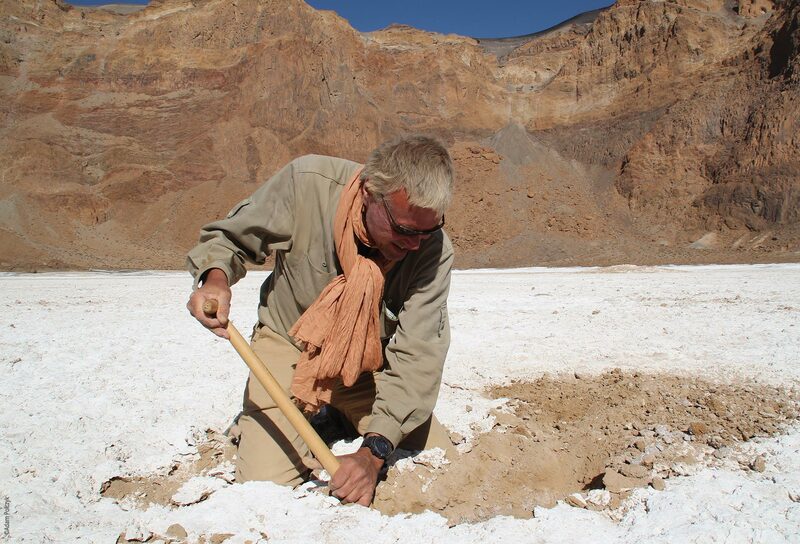 The answers lie in this prehistoric site, and in the sediment of the dried up crater's lake. More than one hundred thousand years ago, Homo sapiens crossed the Tibesti to reach Europe. Today, we are the ones who will try to tell the story. The Toubou - natives of northern Chad - are very caring and gentle towards their camels. No one uses a whip. If one of the animals injures itself, it is given rest and nursed back to health. 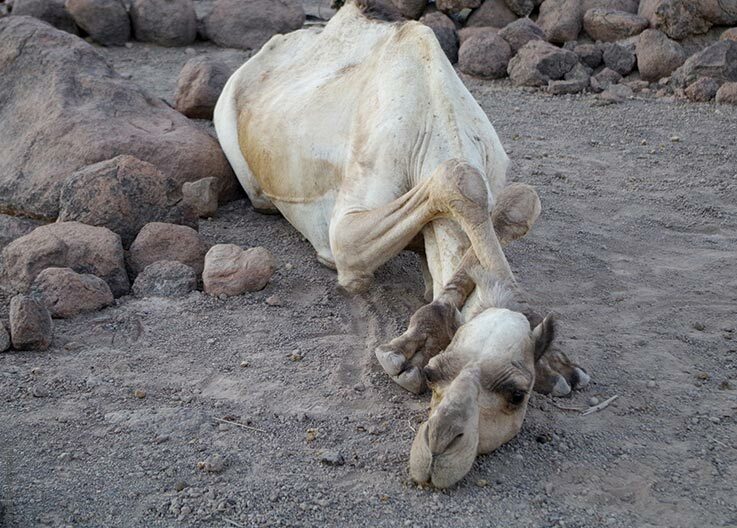 If a muscle is pulled, the Toubou will cross the camel's front legs over/behind its head. The animal appears to enjoy this bizarre looking yoga position. It might lie like this for hours, until it frees itself from the position and continues, problem-free, for the rest of the journey. 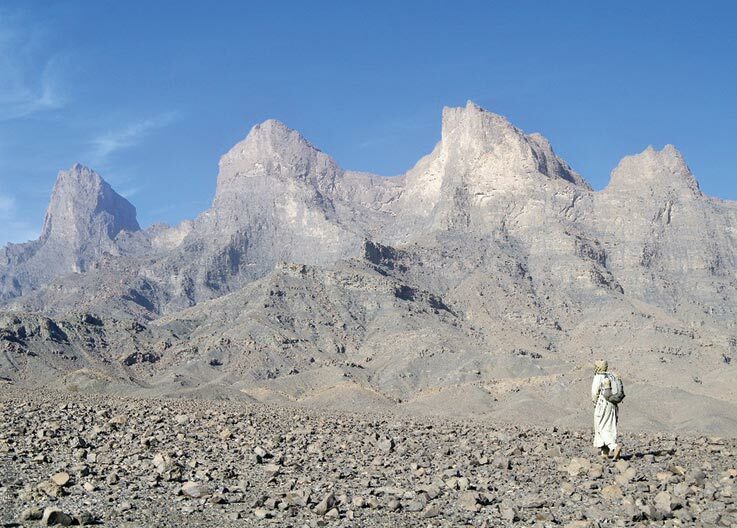 For over 50 years the Tibesti Region has seen as good as no scientific research happening. The area has yet longer still not seen any kind of comprehensive research. The scientists are still only at beginning of their work. They hope that Tibesti will also one day be recognised by UNESCO as a World Heritage Site of Chad. 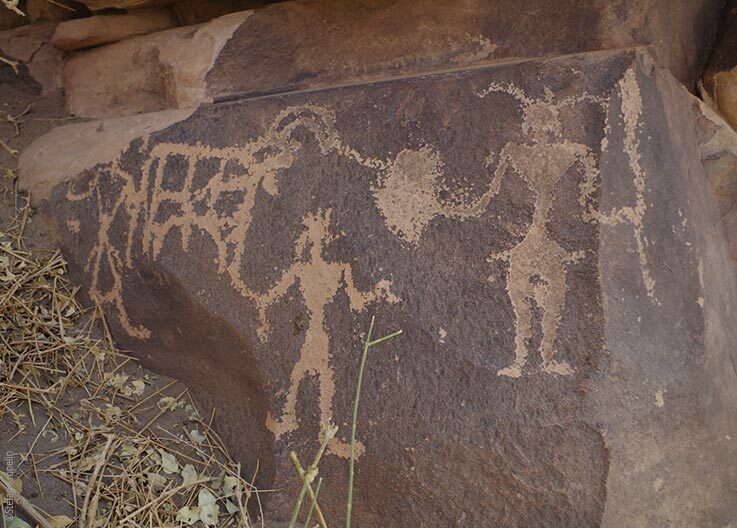 The region is of exceptional significance in terms of landscape, geology and archaeology. The ground research for this make still take some years. human history – how and when did modern man come to Europe?